With secrets, drama and war to contend with, three sisters must look to each for support and guidance. 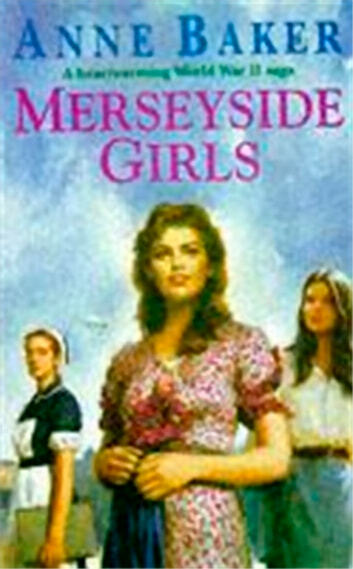 Merseyside Girls is an evocative wartime saga from Anne Baker, which follows a family as they come to terms with the past... and the future. Perfect for fans of Nadine Dorries and Cathy Sharp. Nancy, Amy and Katie Siddons are three of the prettiest nurses south of the Mersey. They've been brought up to respect their elders and uphold family honour at all times. Then sweet, naïve Katie falls pregnant, bringing shame upon the family's name. Alec Siddons, a local police constable, cannot and will not forgive his daughter for her immoral behaviour. But Katie isn't the only one with troubles ahead. Amy is in love with her cousin Paul, but owing to a family feud the mere mention of his name is forbidden in her father's presence; and Nancy is eager to wed her fiancé Stan before the Second World War takes him away. With the outbreak of war, the three sisters offer each other comfort and support. Their mother, meanwhile, is battling with painful memories of the past, and their father lives in dread that his own dark secrets will be revealed. As the war takes its toll on the Merseyside girls they learn that few things in life are more precious than honesty, love and forgiveness.